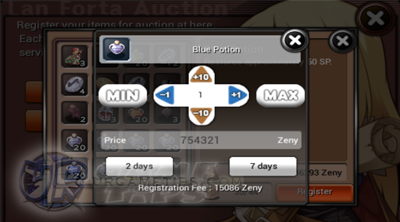 If you want to transfer your Zeny to your other character under same account, for reasons like, you want to boost your new or main character by transferring Zeny from your other characters, or if you badly want to buy an item in the Auction Machine before someone else does, but you don't have enough money! Other than trading with someone you trust, or by using 2 devices to transfer your hard earned Zeny, the only way is to use the Buy and Sell Auction Machine. Note: You can't buy your own items!, so to do this, follow the steps below. - You want to transfer your Wizard's Zeny into your Knight (same account). - Follow this Scenario to easily understand the steps below. - If you want to test it first, start by transferring low amounts first. - Create a new RO:WoG Facebook Account. Zeny, earn around 3,000 Zeny or more, depending on the number of Zeny you want to transfer. This is to pay the "Registration Fee" later on. - Extra Note: Get the Increase Agi Skill to move your Acolyte faster. and price it (the number of Zeny that you want to transfer). = Price 754,321 (if you want to transfer around 750,000 Zeny, see example screenshot above). - Login your Main account then your Wizard (the sender). MUST BE 100% SURE THAT YOU ARE BUYING THE RIGHT ITEM!!! - This will transfer the Zeny into your new account, Acolyte character (the passer). - Next, Login your Knight (the receiver). it (the number of Zeny that you want to transfer). - Again, make your price unique to make it easier to distinguish. - Login your New account then your Acolyte (the passer). - Go to the "Settle Auction" NPC, settle the item you registered to get the Zeny. above. YOU MUST BE 100% SURE THAT YOU ARE BUYING THE RIGHT ITEM!!! - This will now transfer the Zeny into your Main account - Knight (the receiver). 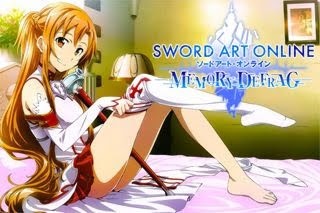 - Login your Main account then your Knight (the receiver). - Congratulations! You can now play the game the way it should be! you must price your item way over it's average price to lessen the risks like players might buy the item!. - You want to transfer an item from your Wizard into your Knight (same account). - Using same New account above with the Acolyte. 200k to 300k, the more, the safer your item will be. - Acolyte (passer) = Buy the registered item above then register it again. - Knight (receiver) = Buy the registered item. Item Transfer Complete!